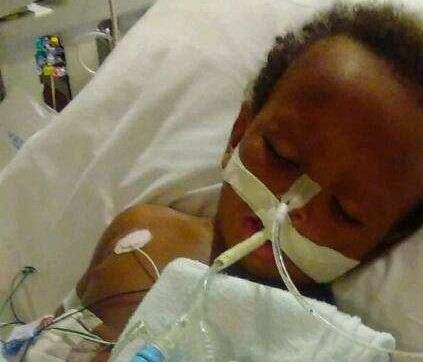 DEKALB COUNTY, Ga. – A 14-month-old boy is recovering after being shot outside his home on Monday night. D’onte Patterson II was among four injured in the shooting, which happened around 8:30 p.m. at the Austin Oaks apartment complex off of Glenwood Road in Decatur. The boy was with his parents and other family members in the breezeway of the complex. 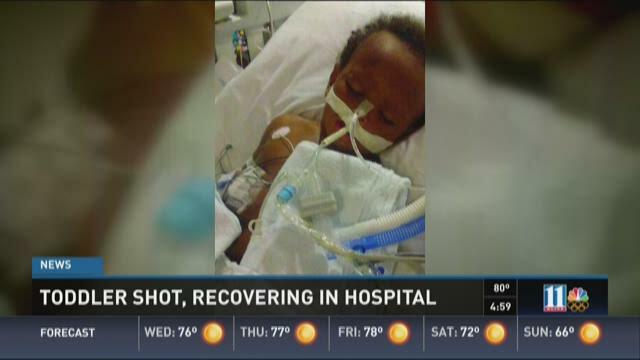 Patterson said the shooter shot low -- with bullets hitting three adults in the legs – and the little boy in the stomach. The dad picked up his son and ran inside, but didn't realize the child had been shot. Patterson’s two uncles and a family friend are at home recovering from leg injuries. The father said that he didn’t know the shooter, so they didn’t move when they saw him walking up. Patterson says his son is alert. “He grabs your hand. He opens his eyes. Every time he hear your voice, he open his eyes,” he said. When he gets out of the hospital in a few days, the family will be living somewhere else, according to the father. He said the family had already planned on moving before Monday's incident.